Flavoring CBD Oil or CBD wax is different than flavoring candy, vapor, or even chocolate. 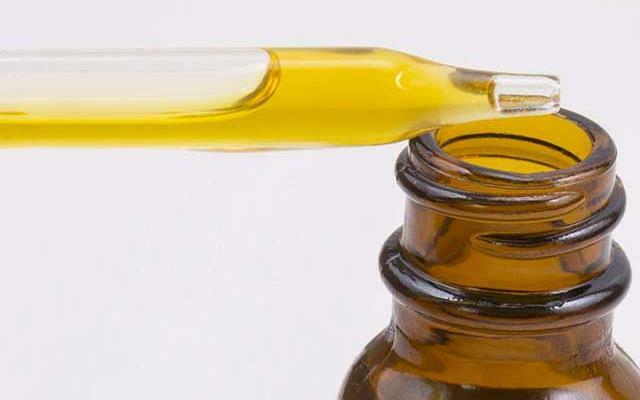 CBD oil, wax and the “pens” that may be used as a delivery system require a very potent oil based flavor formulation that is not normally offered by flavor houses due to the very potent nature of the esters and the problem of “perceived” value. In short, Cannabis wax flavoring is very expensive to make so small amounts are pricey. We do not sell CBD oil or wax and this needs to be made clear. We sell wax oil flavoring for it. We do not know the efficacy of CBD oil nor do we agree or disagree what it contains or what it does or does not do. We have the 1% super wax flavor power available at http://www.wax-oil-flavoring.com/ and repeat sales are zooming. Repeat biz is what it’s all about. Because of clever marketers CBD Oil means different things to different people. To some, it means Cannabis oil with the THC extracted (making it legal in most states) and to some, such as Californians it probably means with THC. The most popular medically used isolate is known as “Marinol.” Marinol, (prescription required) is a synthetic version of delta-9-THC that truly does help chemo patients desire food as well as a myriad of other benefits for physically ill persons. The amount of states approving it with a prescription is growing and both markets [with or without THC] is rapidly growing. Regardless of which Cannabis botanical product you are trying to flavor in this area – you need a very potent concentrated flavor that can flavor at 2-4% not ten times that as is true when flavoring vapor products. One of many reasons vapor requires more flavor is because a lot of flavor is lost in “vapor clouds.” Another important reason is because Cannabis derived oils are not cheap and each ounce is far more pricey than say PG or VG. So Cannabis oil products do not require “fillers” in the actual flavor formula that we do use to make typical flavor compounds such as water based vapor compounds or even sweets such as hard candy. Flavoring CBD or Hemp or Cannabis Oil requires a very potent oil based flavor without any “fillers.” The word “fillers” is the best way to explain how most flavor houses compound flavor and feel the need to dilute their flavor to a standardized measurement. “Perceived value” is another reason they do this. I used to be a flavor buyer for two decades and it was highly frustrating when gas prices were at a high. I would plead for the various flavor houses to send me a very concentrated form of the flavors I was buying and I offered to even pay same price as a gallon–if they could reduce the formula at all. Any weight reduction would be better. My ship fees from California to Florida were almost as much as the flavor itself. So, if the flavor house could reduce a gallon of formula to say an 16 ounce bottle I would have saved a lot per gallon in ship fees and been able to quickly overnight in product to us if I had an unexpected demand of a particular flavor. Back then, flavor houses denied vehemently that their flavor could be reduced to be more powerful. I found out after flavor chemistry school this was not true and the primary reason they could not reduce the flavor potency further was because they had CHINA really manufacturing their orders. I forgot to mention it was taking me three weeks to ever get flavor or a correction of a flavor from the time I paid. So my cash flow of thousands was always suspended in air for three weeks before I even got the first drop of a new flavor order. Typically I had $30,000 in this three week suspension. Learning flavor could be more potent in many cases, but it was really coming from China, I realized they would never be able to do much. It became clear they would never be able to speed up orders, speed fixing an order, or much of anything. The flavor houses always needed three weeks to get it from China was the truth. Since the vapor market – many began having more flavor in stock so the three week secret was not so apparent, and to be competitive. In Summary: All this to say Cannabis, hemp oil and wax related products need an oil based high potency formula that can flavor at 2-4% not ten times that. We now sell a line of our flavor formulas in this manner and skip adding “fillers” on our end. Not all of my flavor formulas have been converted over or even can be reduced to tiny amounts. Some do need the dilution of PG or canola oil (depending on end use) and the entire gallon space to reach the target flavor. Cotton Candy would be the best example of a flavor that a gallon needs almost a gallon. The dessert family is the hardest and I am still working at reformulation to offer a true low percent flavor for CBD, Wax or hemp oil. This is because dessert flavors need vanilla and the best throwing vanillas are water based. Cotton candy is one prime example of a flavor that needs a lot of space. What are the best CBD or Hemp Oil Flavors? vaping. [Order can be very important when blending and aiming for a clear end product.] The Citrus versions are remarkable and heavenly. Yes I do have to travel and pick the actual “tree” because citrus crops change often and countries change (usually due to droughts) as to what country has the best flavor profile that year-for example say orange, lime, lemon, and tangerine. Does Flavoring CBD, Hemp or Wax have limitations? 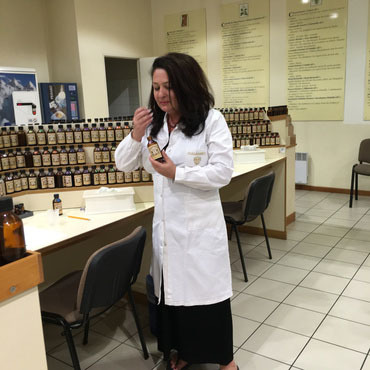 Beyond the challenge of the dessert family which I just discussed and is ultimately doable – there are other flavor limitations when talking flavoring oil and wax. From a flavor perspective, we can talk about the limitations of flavoring any wax or oil – is the “sour” or “tart” family is lost (unless you like vinegar) because most sour agents are water based, such as citric acid or malic acid. Malic acid, for example is the first thing you would taste when biting into a strawberry. But it is water based. Another consideration in flavor a “wax” or “oil” is that it was formerly impossible to secure a natural “sweet” oil based note – unless someone wanted to bother with saccharin [which tastes just gross.] We can offer a sweet note of cane sugar in oil based solutions that require it and it is not a sugar at all and its not a fake sugar either. The material is just very expensive so most flavor houses will not even consider it. But sour or tart is not really achievable in wax oil products, lip balm being a perfect example. This flavor is most suitable for candy makers or vaporizers. It is not suitable for coffee, chocolate, cbd oil or wax. My favorite candy is Starburst Strawberry Fruit Chews and when Taco Bell came out with a Strawberry Starburst drink I was one of the first to stand in line. The drink is close enough to the real candy, and very tasty, but missing something, and I knew what it was missing. I definitely did not use the drink to inspire from when I perfected our new formula, but I did drink copious amounts of their product because the Taco Bell drink is a major league kidney stone breaker upper. For that purpose I was drinking a few quarts a day for a few weeks. I had three stones to move along in February. “Oh, YOU again?” As I pretty much went to Taco Bell a lot during that period, opening, close and popping my head into the drive through window. I was not the only one who knew this drink helps stones so they were OUT of it every other day. Why is the Starburst drink so effective on kidney stones? It is full of citric and other fruit acids which break away at stones as well as a tasty way to stay hydrated when perhaps not staying hydrated caused issues in the first place. I can probably make my own now, although flavoring water is the only market I have not worked as a flavorist. The Starburst “type” flavor is better known in Europe as a totally different brand called “Hi-Chew.” Hi-Chew a very popular candy that comes from Japan. I perfected the Starburst or Hi-Chew “type” flavor better than any other flavor I have ever formulated in my life. It is ethereal, creamy, slightly tangy, sweet, milky, tart, juicy, mouthwatering very pleasurable. It was formulated to be a “BASE” because my biggest followers are “blenders” who will inevitably will add my formula’s to their own secret flavor arrangements. 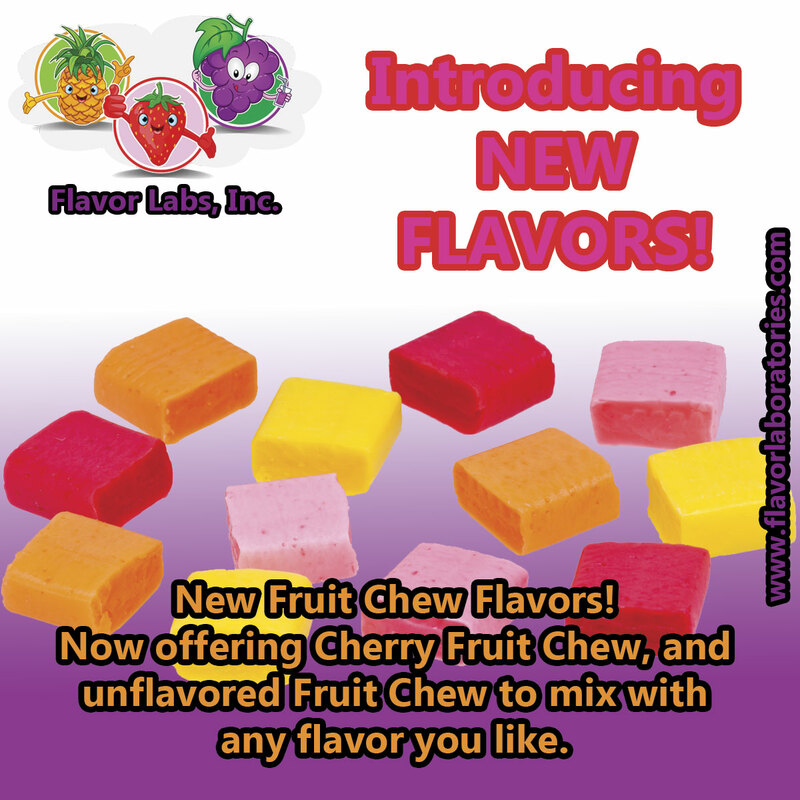 So, the Fruit Chew Flavor Base can be used as it is, or with another flavor to compliment it. “As is” the fruit chew base is slightly fruity, very subtle fruit. We tested the new flavor at only 10% in the rest VG. It was dynamite. That is half to typical use for vapor. Adding your own fruits to the base can be endless and can extend WAY beyond the original four flavors of that brand. But each flavor will need to be formulated at a different level. Our lemon, for example, is so strong we will be trying 20% of that to 80% of Fruit Chew Flavor Base. That means we will try it at 90% VG 8% Fruit Chew Flavor base and 2% Lemon Flavor and expect a really good fruit chew flavor. Fruit ideas to add off the top of my head would be: Apple, Banana, Coconut, Hypnotic (Passion Fruit), Mango, Pineapple, Watermelon, or even a combination such as Tigers Blood-like Strawberry, Watermelon, Coconut. Another flavor we have had that is a best seller among my private clients for the last six months and never was posted on any website until this newsletter is “Iced Donut w Sprinkles” and it tastes just like eating cake sprinkles. 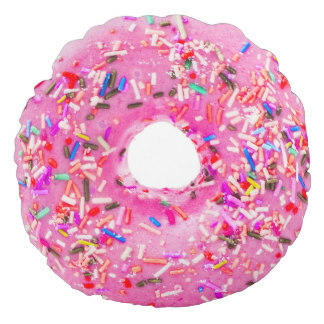 For vapor flavor it is located here: Iced Donut w Sprinkles. This flavor is really good for candy, flavor and coffee beans as well. It contains no Diacetyl or cousins of Diacytel. Our candy flavors we are heavily overstocked on are about to be updated before August 1 and they are generally 70% off. Please click here to check them out. 18 Jul	This entry was published on July 18, 2016 at 5:30 pm. It’s filed under How to Flavor, oil flavor, wax flavor and tagged cannibis oil flavor, CBD oil flavor, hemp oil flavoring, how to flavor CBD oil, How to flavor wax, wax flavoring. Bookmark the permalink. Follow any comments here with the RSS feed for this post.